The garage is an integral part of the overall appearance of your house. While a well-maintained garage elevates the state of your property, a poorly presented one could easily lower it. 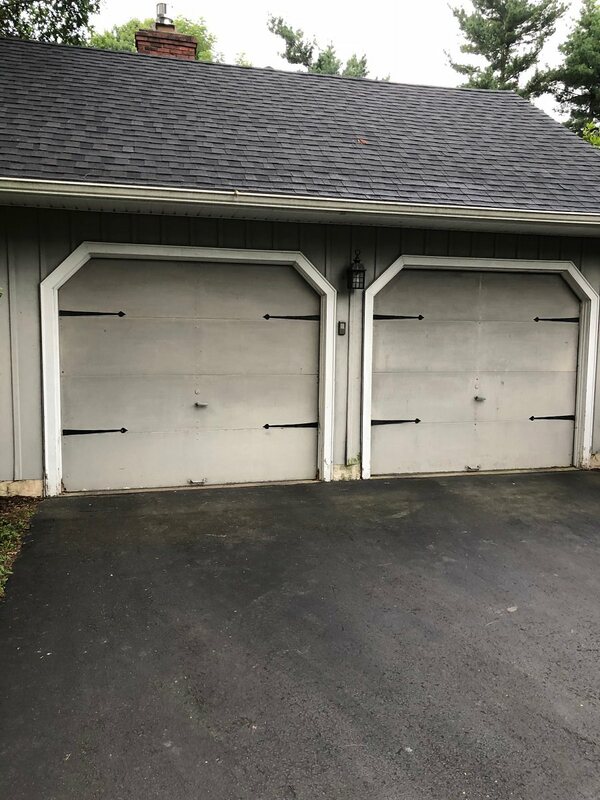 It was for this exact reason that these homeowners in Furlong, PA, decided their garage needed a paint job. 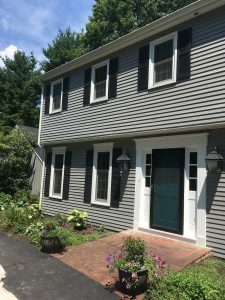 They opted to give their shutters, siding and front door a fresh look while they were at it! They reached out to LaffCo. Painting after hearing about our expert touch and quick turnaround time. 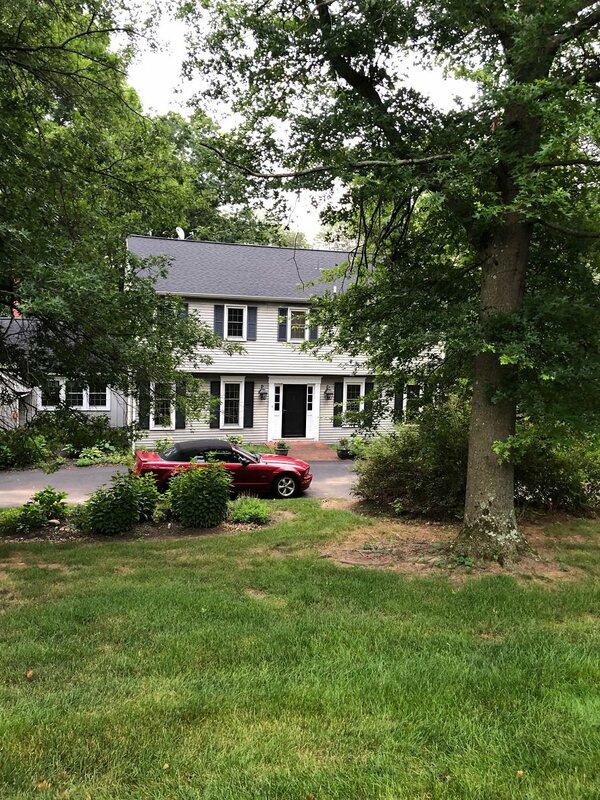 The garage siding paint had faded and gave off a dated impression to an otherwise beautiful suburban house. To fix this, the garage door was given a fresh coat of white paint. Taking it a step further, the trims around the exterior were all painted white too. 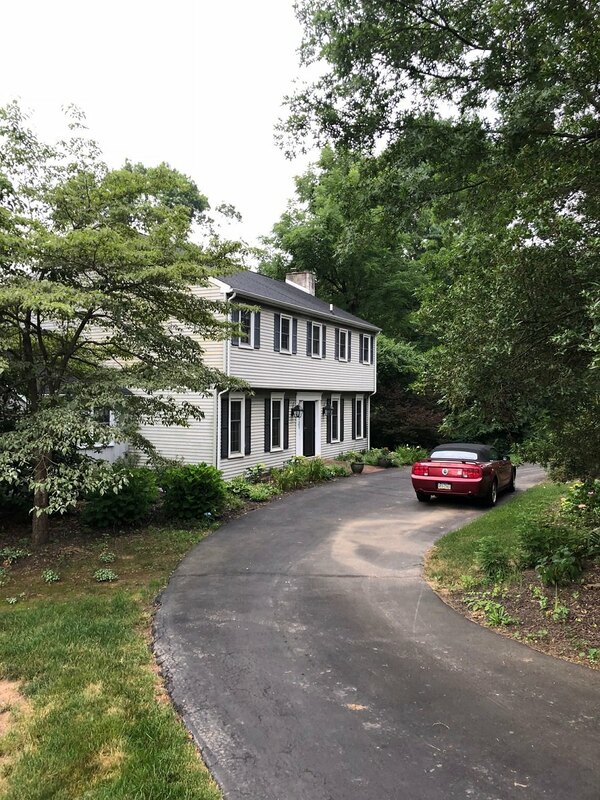 Keeping the exterior cohesive, the garage and home siding was painted in Summit Gray by Sherwin Williams, creating a beautiful neutral backdrop. 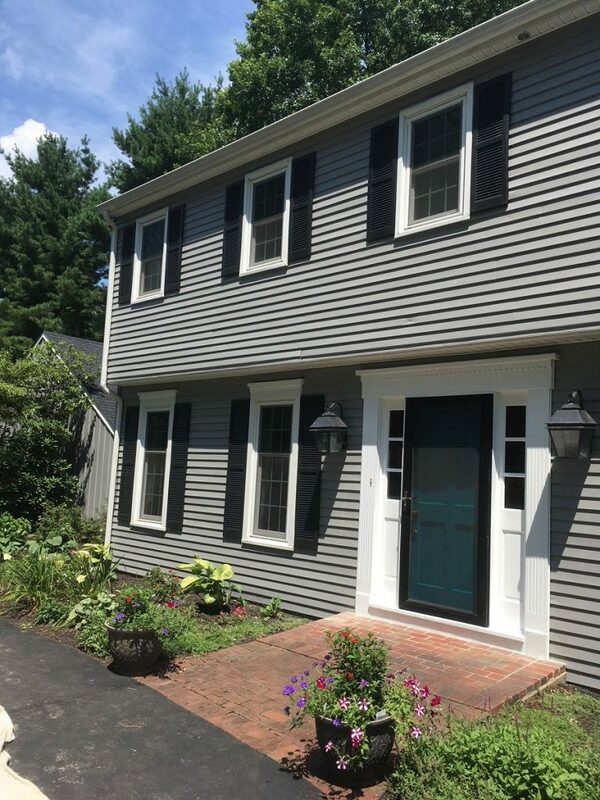 This blended seamlessly with the shutters, which got a fresh coat of paint in Greenblack by Sherwin Williams. The dark shutters also contrasted perfectly against the fresh white trims. On top of that, we repainted the front door in Maxi Teal by Sherwin Williams. The teal colored accent of the front door now serves as a visual invitation for years to come! The overall result? A fresh exterior with gorgeous neutrals and a pop of color that makes this house feel like a home. Ready to freshen up the look of your home? Contact LaffCo. Painting for a free painting quote today!